1 Bdrm 2nd flr Flat. Hall. Lounge/Kitch on open plan. Bdrm. Shower rm. Garden. Parking. 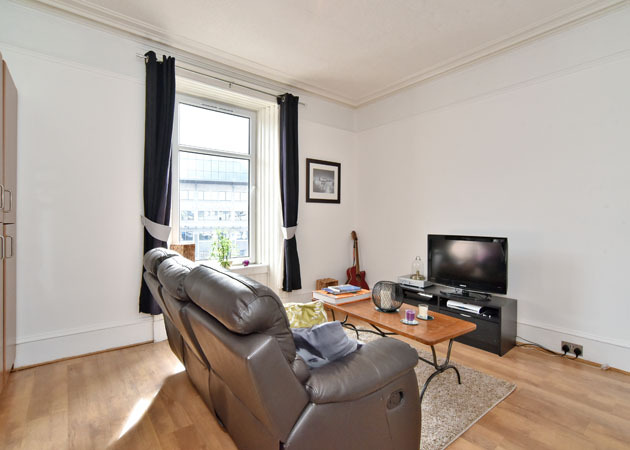 Price over £109,000 Entry by arr. Viewing contact solicitors. (EPC band - C). 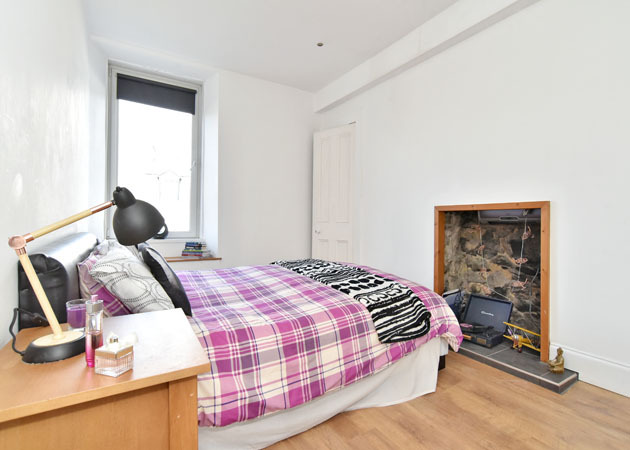 We are delighted to offer for sale this ONE BEDROOM SECOND FLOOR APARTMENT ideally situated in a well maintained traditional tenement building in a city centre location. The property has been finished to the highest of standards throughout and benefits from a modern décor with stylish fixtures and fittings. 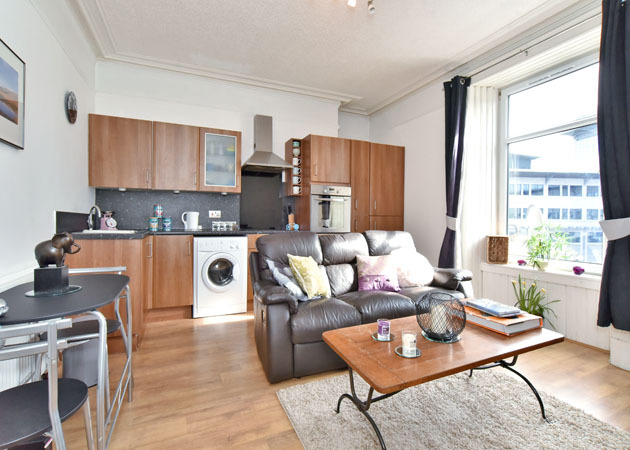 The accommodation comprises a welcoming Hallway, spacious Lounge and Kitchen laid to open plan offering plentiful space for a variety of furnishings along with a modern fitted Kitchen with all necessary appliances, Master Bedroom with fitted storage space and recently refurbished modern Shower Room. 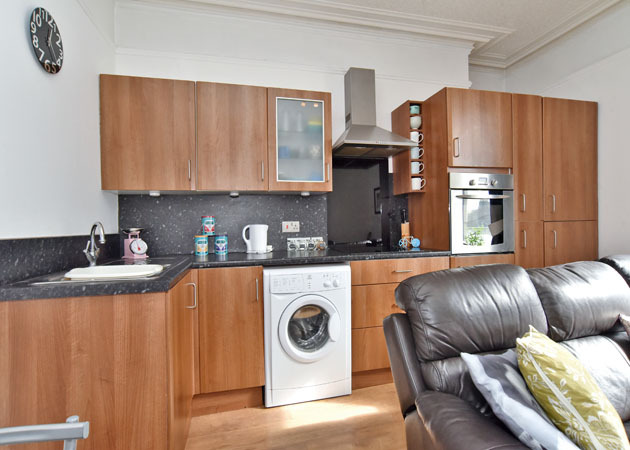 The property is to be sold inclusive of all floor coverings, light fitments and white goods. 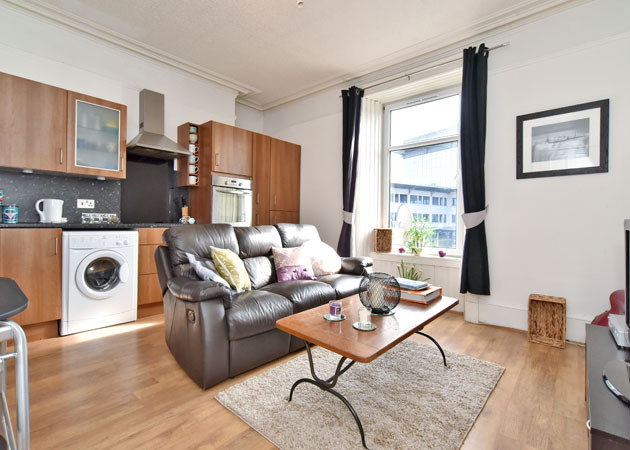 This property undoubtedly represents an excellent purchase for the first time buyer or letting investor to acquire a city centre property of such high quality. 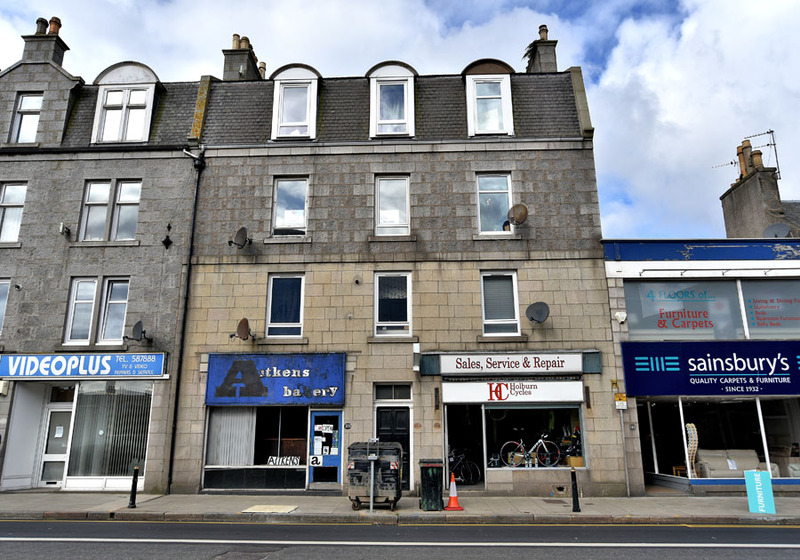 Holburn Street is one of the main arterial routes to the City and this particular property offers easy accessibility to most parts of Aberdeen by a variety of arterial routes. Given a short walk to Union Street, a wide range of pubs, clubs, restaurants and leisure facilities are all close to hand. The Duthie Park and walks along the banks of the River Dee are also attractive outdoor propositions nearby. DIRECTIONS From the west end of Union Street turn left into Holburn Street and continue to the roundabout; take the fifth exit on the roundabout and proceed back along Holburn Street. No 200 is a short distance along on the left hand side located (looking onto Talisman House). ENTRANCE HALLWAY: Welcoming Entrance Hallway with fitted laminate flooring offering access to all accommodation. Security Entrance System. KITCHEN/LOUNGE: 14’5” x 12’11” approx. The Kitchen and Lounge are laid to open plan offering plentiful space for a variety of freestanding furnishings for both lounge and dining along with the modern and stylish fitted Kitchen. The Kitchen has been fitted with a range of wooden gloss base and wall mounted units with co-ordinating work surfaces offering plentiful storage space. The fitted appliances such as the Fridge/Freezer, Electric Oven and Hob and Washing Machine are all to be included within the sale. Laminate flooring. DOUBLE BEDROOM: 15’7” x 9’11” approx. 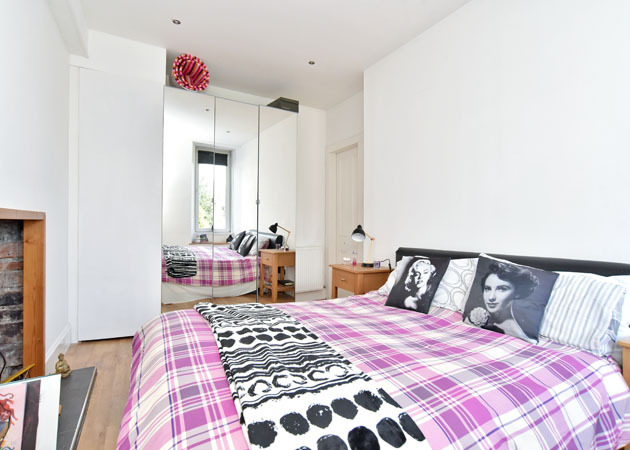 The Master Bedroom has been decorated in a neutral tone and benefits from a pleasant outlook to the rear garden. Large fitted wardrobes with mirrored sliding doors offer plentiful storage space along with a further storage cupboard. The main focal point is the closed off fire place offering a lovely decorative appearance. Laminate flooring. SHOWER ROOM: 10’1” x 4’6” approx. 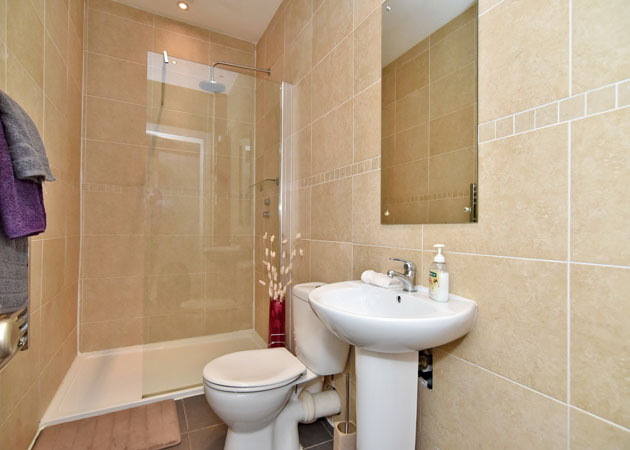 The Shower Room has been refurbished to the highest of standards and benefits from a waterfall style shower within a large enclosed shower area along with a w.c. and wash hand basin. Tiled flooring and tiled wall. 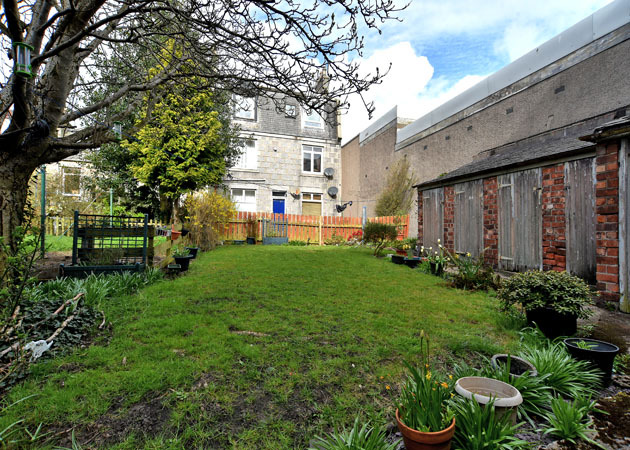 REAR GARDEN: Shared communal Rear Garden, primarily laid to lawn and well maintained. Private storage shed.